iOS Development Challenges in Latest Version. The mobile industry and the operating systems changed forever with the arrival of Apple in the market in the year 2007. The company completely revolutionized the way; the mobile industry used to function. With an array of products including iPhones, iPads, Mac, iPods, watches, and televisions, Apple has come of age. In the last ten years, it has become the most sought-after personal devices worldwide. India too witnessed the same trend, and so we saw a sharp rise in iPhone app development in India. The Apple with its operating system iOS has set the benchmark quite high for the rival companies to scale. Going with the tradition, the company keeps on rolling out a new improved version of iOS every year. With unmatched user experience, the latest is the iOS 11 which was launched on 19th September 2017. With every new update, comes new challenges and capabilities for the developers and its same with the iOS 11. The latest update comes with multiple problems around functionality. And though Apple has released around 4000 new APIs for developers, working with iOS is still quite demanding. In Apple’s ecosystem, there is a unique functionality associated with mobile app development every developed application as each application has its specific design and architectural considerations. The iOS 11 has kept the developer community on the job with its sets of challenges, and these are only going to be more complicated with the new lines of products in the coming times. So let’s give you a glimpse of the challenges, the developers face to provide us the iOS experience we all are a fan of. To only get an iPhone related app is not enough as it is quite tricky to get the approval. The regulation and processes set by Apple are not easy to deal with. So the developers have to endure tough time to ensure their iPhone app development in India doesn’t get the rejection from the Appstore. What makes an app popular among users is its performance without being heavy on the battery life. Maintaining this balance is quite a daunting task for the developers and demand innovation. Maintaining the compatibility of one’s app with the changing iOS version is important to support a maximum number of users. Also, the application should be compatible with corresponding devices like iPad, iPod; Apple watches, etc. These are the points that a mobility service provider must keep in his/her mind while developing an app. One of the significant challenges that iOS developers face is the limitation of memory and storage. Installing a few apps and games consumes a lot of memory making other apps stutter even if the device supports the latest version of iOS. So proper management of storage and memory must be on a developer’s mind before developing an app. An application under development is always at potential risk from the smart hackers of today. The development of hack-proof apps is not an easy task and is quite challenging for developers as they need to build a strong technical security layer. The developers must keep in their mind, the target audience mindset while developing an app. Considering the ever-changing fashion and design trends, the developers can use a variety of designs in their apps, such as anthropomorphic, flat, material, etc. Providing the right mix of enterprise mobility solutions is never an easy task after all. Low-speed networks can be pretty annoying as it hampers the overall user experience. Optimizing app for slow systems is a challenging task for the iPhone app development in India. Hire the best iPhone App Development Company in India! 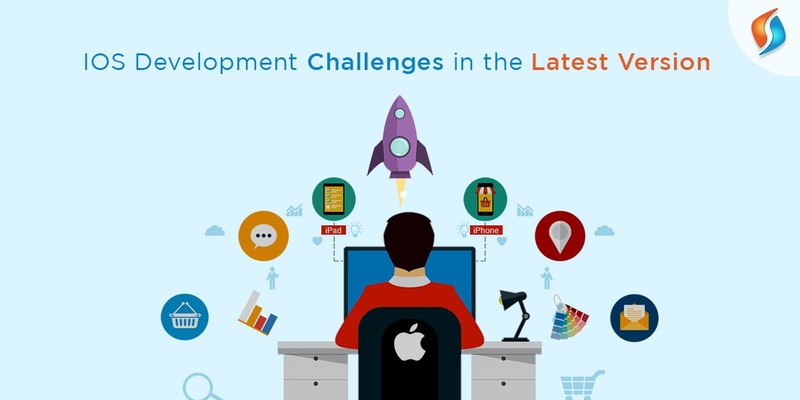 In a nutshell, we can say that the number of challenges faced by an iOS developer is numerous and is quite a tough task. But with expertise and polished technical skills, one can chart the best solutions. We at Signity Solutions have years of experience working on iPhone app development in India besides providing custom web development services. So if you wish to see your app in the App Store, our dedicated team of developers is at your service. Feel free outsourcing to India, reaching us here and we will revert at the earliest.